I am not really into celebrating my birthday in an extravagant way. For me, It’s an enough gift that I’ll always see my family in good health and that we are all living harmoniously. I didn’t expect that my nephew named, Jai Jai, would surprise me by presenting his birthday present to me on my special day. He got near to me as I came home and showed me what’s on the table. 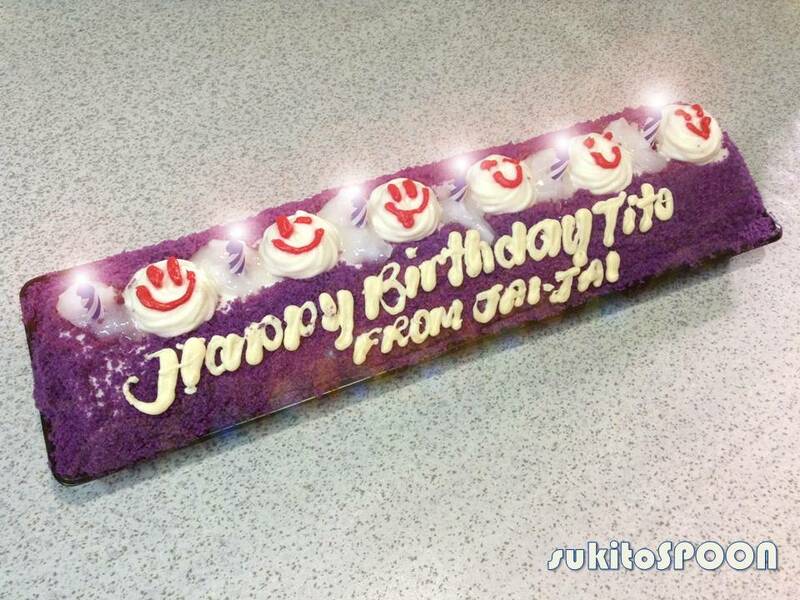 It’s an “Ube Macapuno Roll” from Red Ribbon with a written birthday greeting on it and with six little lit candles on top of it plus six faces of smileys made of white icing which adds cuteness to the cake. Of course, he’s just the one who presented it to me. But, it’s actually his parent’s idea to give it to me. Another funny moment that goes along with that cake roll whenever I see one was that as my nephew presented the cake to me, he asked me that he wanted to be the one to blow it for me. 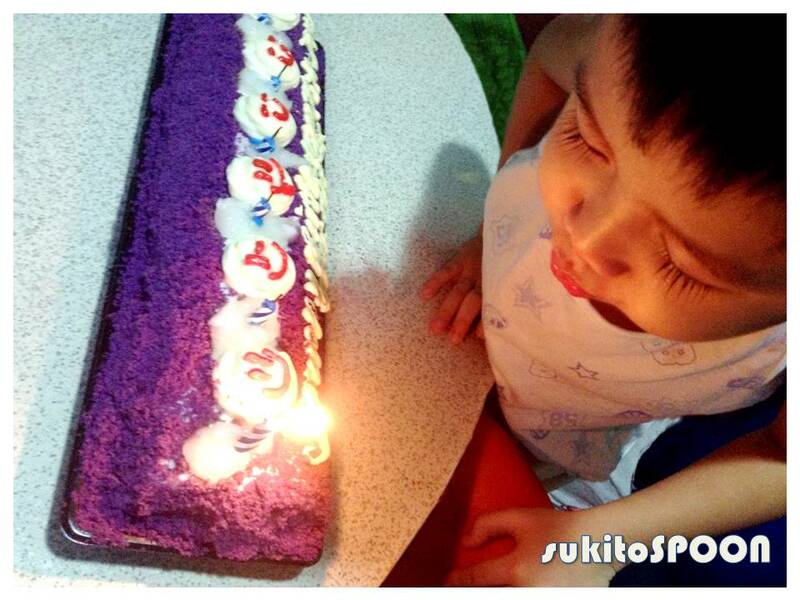 By the way, my 5-year old nephew has this habit of blowing candles on any cake he sees. And yup, he did succeed of blowing the six candles on the cake!